Facsimile: Vancouver's Chart of Coast of Northwest America. Facsimile: British Columbia and Northwest Territory (portion). Facsimile: Canada and the United Ststes (portion). 1 : 3743000 Genest, F.X. 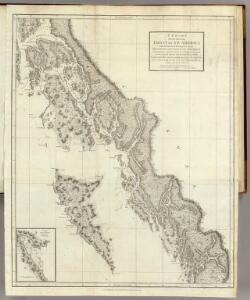 Facsimile: British Columbia and Vancouver Island (portion). Facsimile: Cordova Bay to Cross Sound. Part of British Admiralty Chart. No. 2431. Sheet No. 1. (Dixon Entrance, Chatham Sound). Facsimile: Russian Map of Southern Half of the Koloshenski Archipelago.